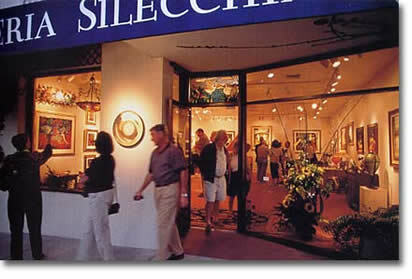 Galleria Silecchia is a contemporary fine art gallery in Sarasota, Florida and features an international collection of original oil and mixed media paintings, art glass, bronze, steel, aluminum and ceramic sculpture. We invite you to tour our international gallery and enjoy the work of our gallery artists. We are pleased to assist you in your selection, and we offer our expertise gained from over 40 years of professional experience in the arts. We offer design consulation for residential and commercial environments. We are honored that Galleria Silecchia was selected by Sarasota Herald Tribune in 2006 as best art gallery and by Sarasota Magazine readers as "Best of the Best" Art Gallery in Sarasota in 2001, 2002, 2003, 2005 and 2009. In their announcement, Sarasota Magazine stated: "
Sarasota has such a wealth of beautiful art galleries that winning this category is a real accomplishment. Galleria Silecchia has increased the citys appreciation for fine sculpture . . ."
GALLERIA SILECCHIA is located on Palm Avenue at 20 S Palm Avenue. Our web site is updated regularly to bring you a complete online gallery. Please bookmark our site and visit us often. You are invited to join our mailing list and receive our e-newsletter about gallery exhibits, events, artists, and new works of art at Galleria Silecchia. 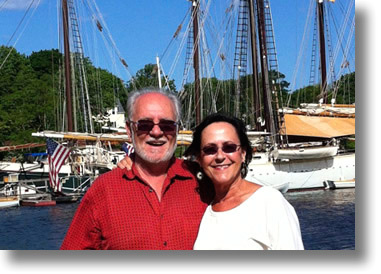 Click to see our current newsletters.